It is no secret that, for us in Socialist Resistance (SR), what is posed by the SWP crisis is the issue of revolutionary unity. We are already involved in such discussions with the comrades of the International Socialist Network (ISN) and Anticapitalist Initiative (ACI). The far left in Britain has long been weakened by a legacy of divisions which neither reflect today’s political reality or the needs of the wider movement, in fact they are destructive to the wider movement. Yet such divisions are difficult to transcend despite the fact that many of the old arguments, like the class nature of the Soviet Union, for example, have been overtaken by history. Events like the SWP crisis open up the possibility of a breakthrough in this regard. A chance to build something new that would cut across the existing traditions and divisions of the far left. A chance to build something on a different political basis and to give a strong new emphasis, for example, to feminism and self-organisation, and, in our view, the ecological issues as well. Even before the SWP crisis reached its present stage there were signs of realignments and recomposition opening up – for example with the emergence of the ACI. We remain ready to dissolve Socialist Resistance into such an organisation if it is established. We recognise that building a new organisation of this kind is not easy and that it will take time. There is also an urgency, however, since such opportunities when they arise do not hang around for ever. Meanwhile there are plenty of openings for joint work in the broader movement which should in any case underpin any process of regroupment. For us [the new left party] Left Unity is particularly important given the ongoing crisis of working-class representation. It has established 50 groups around the country with over a thousand members and, after its successful founding conference in November last year, is preparing a policy conference in March. As important is the People’s Assembly and the struggle against the cuts. The fight against austerity, cuts and privatisation is central to our priorities and the People’s Assembly gives an important forum which brings together the trade unions and community campaigns and practical action on the ground. We are also involved in the Campaign Against Climate Change, anti-fracking initiatives and of course in the unions. In fact we are already working with RS21 comrades in various ways. Comrades from RS21, as well as from the ISN and ACI, are involved in building the meeting on February 15 in solidarity with the Syrian insurrection. Both Dave Renton and Ian Birchall are speaking at our event on the New Left on February 1. There will be other opportunities as well. For example we have a comrade from Bangladesh doing a speaking tour in Britain in March on super exploitation and the climate crisis in Bangladesh, which the comrades would be very welcome to get involved in. 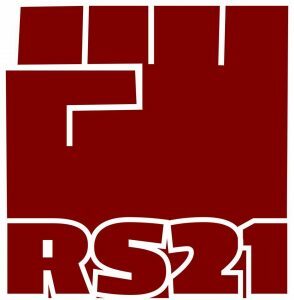 The RS21 comrades argue in their statement that: "The working class movement is more powerful when the left finds ways of working on what unites people against our common class enemy" and go on to say that they "will seek to work with broader working class forces on the basis of agreement where possible". We strongly agree on this. They also say: "The revolutionary left faces a series of difficult questions and important tasks. We hope that together we can begin to address these challenges." In our opinion, the best way to address such challenges is to work to establish both joint work and a common view as to how to create a new revolutionary organisation in the future which would, we think, be a real pole of attraction not only to those currently members of far left organisation but also to many others who are not.